Are you a budding food and drink entrepreneur? Do you dream of running your own restaurant or cafe? Have you got an idea for a food or drink product you would like to bring to the masses? Or have you taken the first steps on your journey and are looking to take your business to the next level? In the Town Hall from 11am until 6pm on Saturday 26th May, Food Futures at Sheffield Food Festival is a one day programme of talks, discussions, mentoring and advice aimed at new or developing food and drink businesses, and people who are considering starting up. The programme features a host of experienced industry professionals sharing their experience and knowledge with you, along with opportunities to discuss your own ideas or business challenges with them. The Innovator Market will include exhibition stands from SCR Launchpad, the NMTF and Sheffield Hallam University, plus showcase trading pitches for innovative new local businesses. 12:00 - 12:30 Markets, festivals, and fairs - the launchpad for your food business! Owning and running your own restaurant is a dream for many people, yet managing to achieve and maintain long-term success can be a challenge. James shares findings from his research identifying the core values that our most successful restaurateurs share. Starting a business can be a daunting thing and working in the food industry can bring about even more challenges. The University of Sheffield proudly presents an in depth panel session on what it really takes to survive in the food business and where our speakers appetite for it all started. While running a food company is exciting and rewarding, small and medium businesses may suffer from a lack of resources to develop their products. 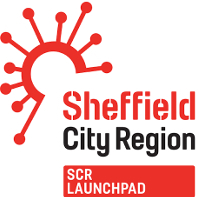 Ophelie Robertson is a research fellow for the Sheffield City Region Innovation Programme and will present how this regional initiative supports SMEs around Sheffield to promote business growth through a range of academic and technical expertise. Jay Bhayani is the Managing Director of Bhayani Law, a team of employment law & HR specialists who support companies in the hospitality industry in Sheffield.